Robert E. Dike, Sr., age 73, lifelong resident of McCook, NE passed away Thursday, November 15, 2018 at Community Hospital in McCook. Robert was born to George and Ruth (Davis) Dike on February 23, 1945 in McCook. He was one of four children. Robert attended school in McCook. 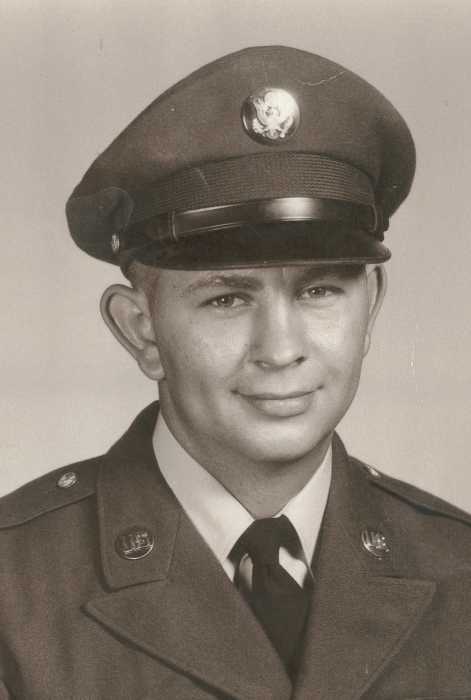 Following high school, Robert joined the National Guard. He served his country from 1966 to 1971 when he was honorably discharged. On July 6, 1968, Robert married the love of his life, Shirley (Robarchek) Dike at St. Patrick’s Catholic Church in McCook. The couple spent fifty years together. They welcomed their first child, Robert, Jr., in 1969 and their daughter, Tiffany, in 1980. Robert was a member of the Red Willow Western Rural Fire Department and also a member of the Red Willow Sherriff’s Posse. Overall, Robert served the county for 33 years. He also worked as a mechanic for Shores Auto Supply. Robert and his son loved to spend time prairie dog hunting. He also enjoyed hunting deer and pheasant. In his early years, Robert loved tinkering with cars and reloading gun shells. He will be remembered for his beef jerky and salami. Robert loved being the “water man” during the races at the McCook Speedway in the summer where he didn’t know a stranger. He loved spending time with friends and family, especially his granddaughters Raylynn and Ella, as they were grandpa’s girls. Robert was preceded in death by his parents, George and Ruth Dike; sisters, Ginger Schlichting and Diane Ramirez; his daughter, Tiffany Burks, in 2016; and grandson, Kadence Day. He is survived by his loving wife, Shirley Dike of McCook; son, Robert Dike, Jr. and wife Tammy of McCook; former daughter in law, Jennie Sramek of Palisade, NE; brother, Larry Dike and wife Linda of Sherman, TX; sister in law, Joan Mcilravy of Ord, NE; many grandchildren, Shelby (Tanner Miner), Kristen (Christopher Day), Kade Dike, Haylee and Reyce Dike, McKenna Hylton, Kasandra (Carlos Lazaro) and Christina Barber; as well as great grandchildren, Ella Miner, Raylynn Day and Jaylynne, Jacob and Jaxston Barber.